Conduct a research study to gather data, analyze it, and synthesize it into insights and research artifacts for the design phase. For our capstone project, we began looking at spaces like social good to women empowerment to women’s health to menopause. Menopause. We knew that we knew not much concerning this area, and all the more reason for us to seek it out and bring it to the forefront to our peers and society. As we narrowed into our space from social good to menopause, we conducted several literature reviews to gauge a better understanding of the landscape academically, industrially, and culturally. Afterward, we discussed what the design opportunity could be for us. How might we support a culture of individuals who are more comfortable, informed, and empowered during the phases of menopause? We recruited our participants by posting flyers in various socioeconomically ranging neighborhoods within Seattle, utilizing advertisements on Craigslist and Reddit, reaching out to various groups on Facebook and Meetups, and passing the project on through word-of-mouth. We included a link to our research study's website and access to our screener survey. We recruited and interviewed four experts within gender studies, medicine, and public health. Our interviews helped us to understand that menopause is a multifaceted phase of life which can occur during a time of social change and aging. 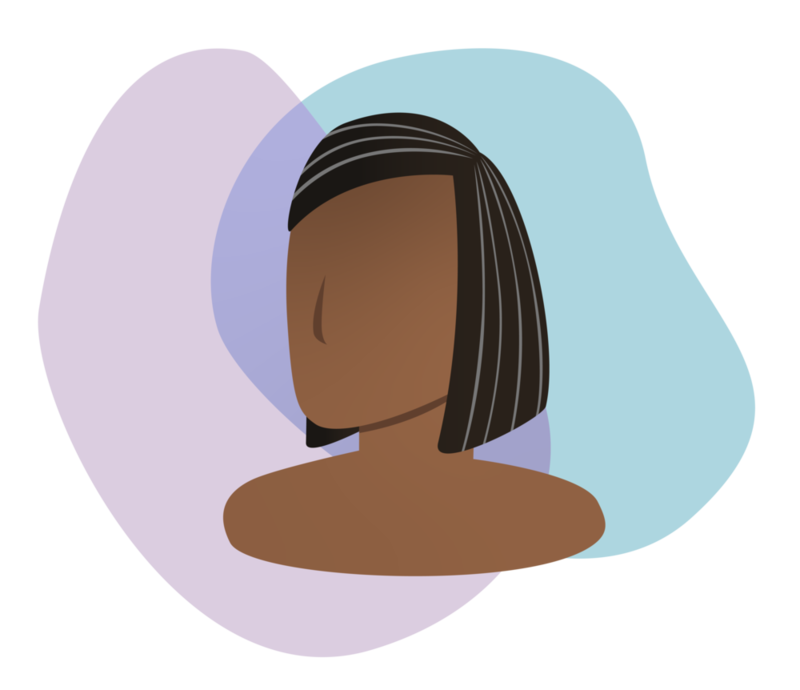 In our initial round of semi-structured interviews, we wanted to gain an understanding of their menopausal experiences from work to relationships to self-image. We held a participatory design workshop with eight women to provide a space for honest discussion. During one of the sessions, I led the focus group round-table. We synthesized our findings from the experts, firstround of interviews, and workshop on to post-its to categorize into tangible insights. How can we empower* each person as they experience their individual menopausal journey? For our second round of semi-structured interviews, we examined each participant’s main signals and the steps they took to alleviate them. We also asked them to reflect on their menopausal experience and what they want future generations to know. With an overwhelming amount of data, we wrapped up interviews early and entered the analysis phase. We transcribed, thematically coded, and reviewed all the interviews and workshop. We organized the codes into categories and organized a master code sheet of all paticipants. Once we were done with analysis, we were able to review the master code sheet to help synthesize the final insights as well as help with the personas, journeys, and conceptual models. Since there are no clear expectations of menopause, women often feel uncertain about “the Change,” both before beginning their experience and during it. Menopause is a quality of life issue aging women are expected to silently endure, so there is a lack of interest in creating a broader discussion about it. Individuals can feel a greater sense of control through understanding their body’s behaviors. Menopause happens in the context of many unrelated physical (i.e. vision impairment) and societal changes (i.e. becoming an empty nester) that come along with aging. A person’s macro-environment, micro-environment, and individual traits affect a person's quality of life and how information and support is sought out. When quality of life is disrupted by a signal, one will attempt to seek information or support or both. How one seeks interactions and the level of success from those interactions contribute to a variety of experiences. When a signal disrupts quality of life, the individual will look for information and support through the validation model. This can lead to an action. The result can either improve quality of life, worsen it, or go unchanged. If quality of life is not improved, the individual may return to the validation model. Menopause should be celebrated and embraced. Valuing and honoring the body through all the changes it endures can be incredibly empowering. This is not a disease. This is a natural phase and should be treated like so. Every body is unique, their quality of life is unique. And because of this so will their experience be through menopause. Because menopause can be a confusing time for a person, it is important to be direct and clear about what is happening and why. Understand that the individual must ultimately decide their own decisions. We simply must provide them with the tools to guide them through their experience. This is a sensitive topic that not everyone is comfortable with. Be aware that individuals can be extremely reserved and of their culture not being entirely accepting. Menopause is not exclusive to cisgender women. As so, it is important to proactively seek out the voices of other gendered individuals. The experiences of those undergoing menopause through surgery, radiation, or prematurely, deserve further investigation. There are generational differences in how people view intimate health. Understanding these differences affects the design tremendously. Knowing why you have selected certain methods is a direct reflection of the research questions formed before and, not uncommonly, transformed during. I learned that research requires objectivity and reason in order to best represent the truth. While we were conducting the second round of interviews, I sensed the data we were gathering felt repetitive. Discussing this with our sponsors, they agreed we had reached data saturation. Now, I recognize the signs for when it is time to synthesize data.